Let’s say you only want to allow your customers from the UK and Ireland to initiate callbacks. 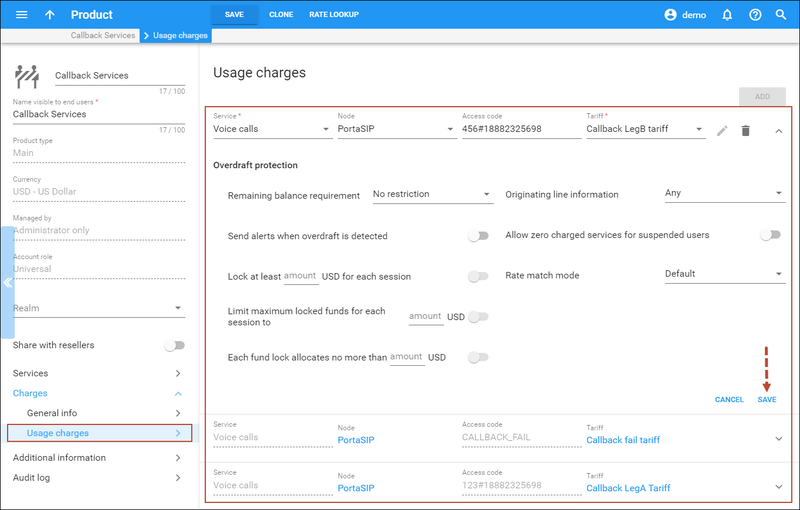 This can be done by setting up separate charging for different call legs and restricting the destinations in the call legA tariff to destinations in the UK and Ireland. 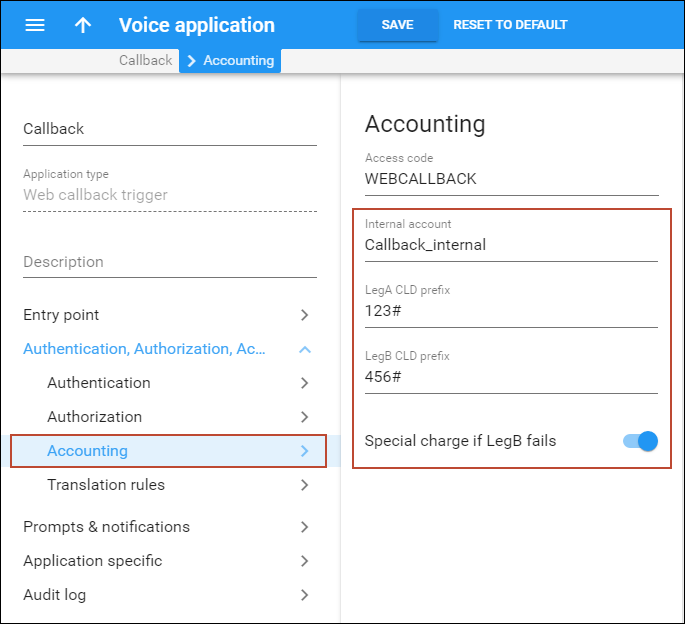 NOTE: Callback trigger instances are modified in the same manner as the Callback IVR application. 2. 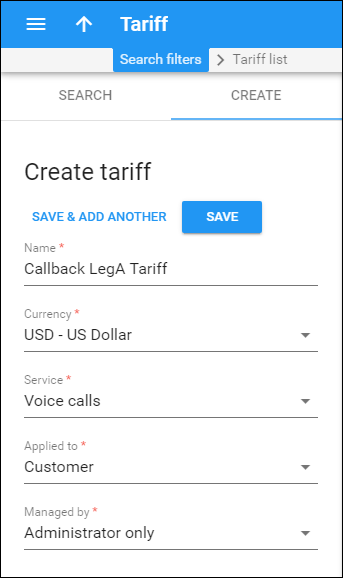 Create tariffs that will be used for separately charging for different call legs following the instructions described in the previous chapters. · Enter rates to the tariff that will be used for charging call legB and all other required destinations, except the UK and Ireland. 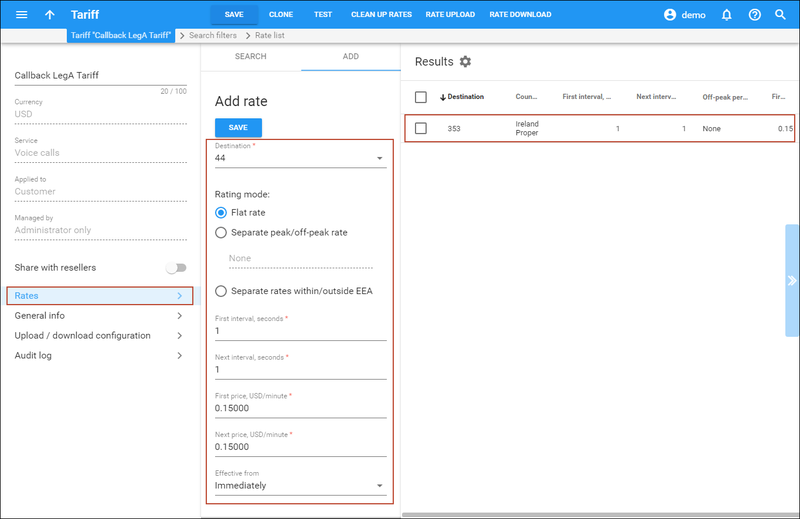 · Add another rating entry with your PortaSIP® node, the tariff that will be used for charging call legB and the access code in the format <LegB CLD Prefix> + <Access number> (e.g. 456#18882325698). 1. Perform steps 1-3 as described in the section above. 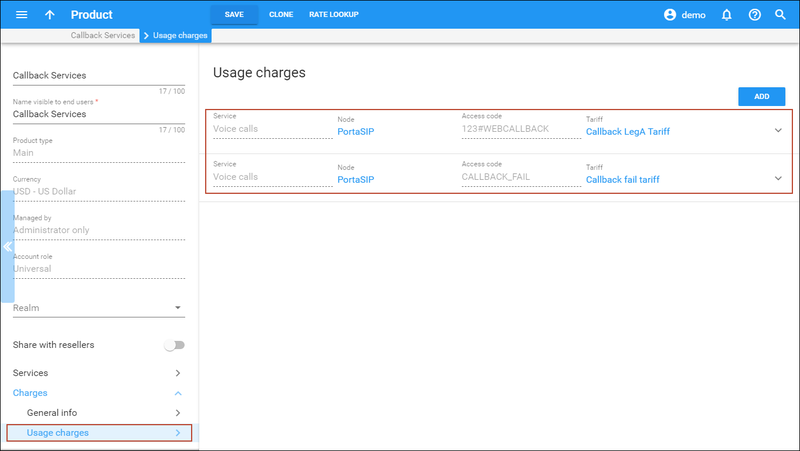 · On the Usage charges panel add a new rating entry with your PortaSIP® node, the tariff that will be used for charging call leg A and the access code in this format: <LegB CLD Prefix> + <Access Code> (e.g. 456#WEBCALLBACK). 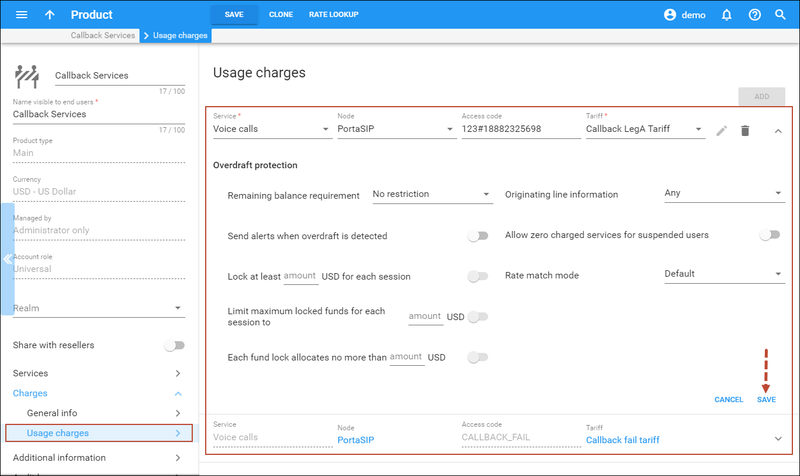 This option allows you to apply a single tariff to charge users for calls made to their numbers (call leg A) from multiple access numbers (e.g. if you provide DNIS callback), and to apply another tariff to charge users for calls to destination numbers (call leg B). 1. 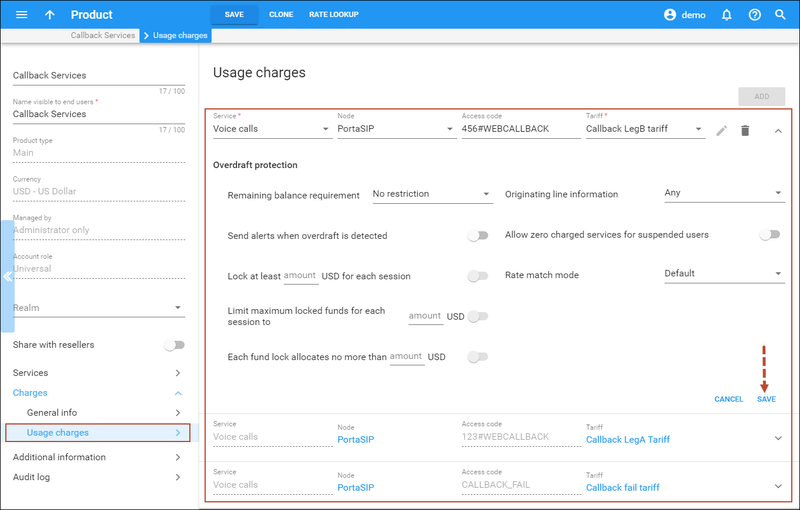 Configure the callback services as described in the Setting up Callback Services. General Configuration handbook. 2. 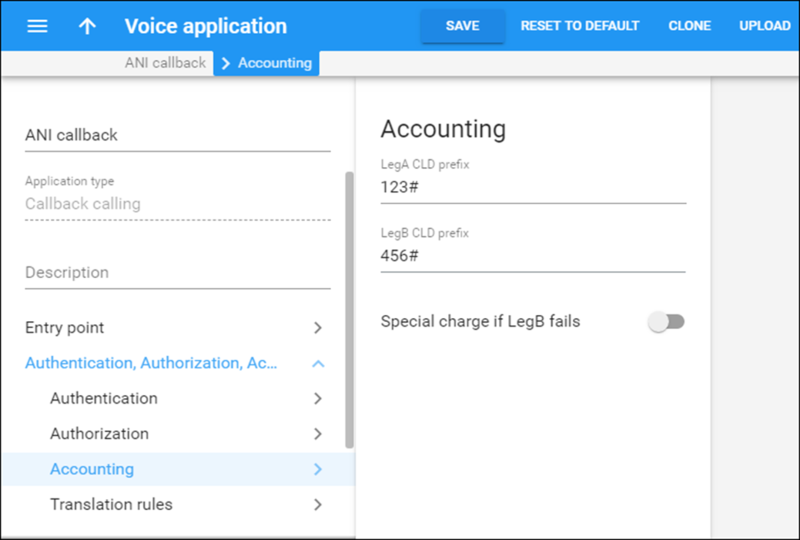 Configure the LegA CLD Prefix and LegB CLD Prefix of the Callback calling IVR applications and then perform further tariff and product configurations. To do this, follow the instructions described in the …Configure Separate Charge for Incoming Leg chapter in the How to… handbook of the Prepaid Services section. 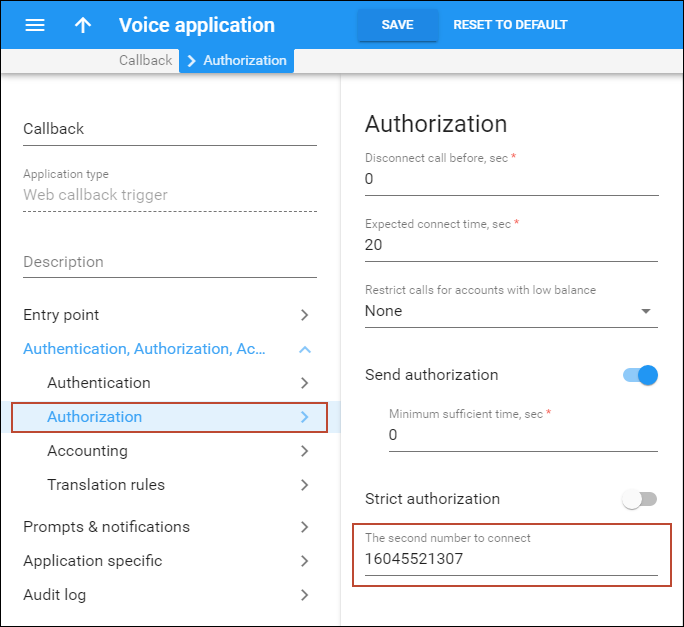 You may want to greet your end users or guide them through the IVR application once they have dialed the access number. Brand prompts is the audio tool that helps you reach this goal. You may use the default brand prompts or create and configure customized ones. 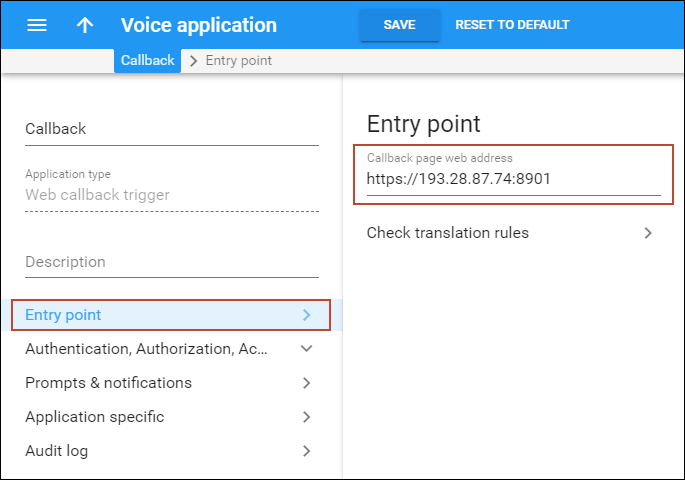 In order to play the default brand prompts, enable the Play welcome message check box on the IVR Applications page (see step 7 of this section). 1. Record the greeting / guiding prompt in the *.wav format. 2. Log in to a processing node via SSH. NOTE: You may use any custom name instead of my_company for the first folder. For the second folder use the value specified in the Preferred IVR Language field in the account settings. In our example we assume that the preferred IVR language is English. 7. Repeat for each processing node of the installation. · Brand prompts – Specify the folder with the custom name. · Play welcome message – Enable this option to play the greeting / guiding message.